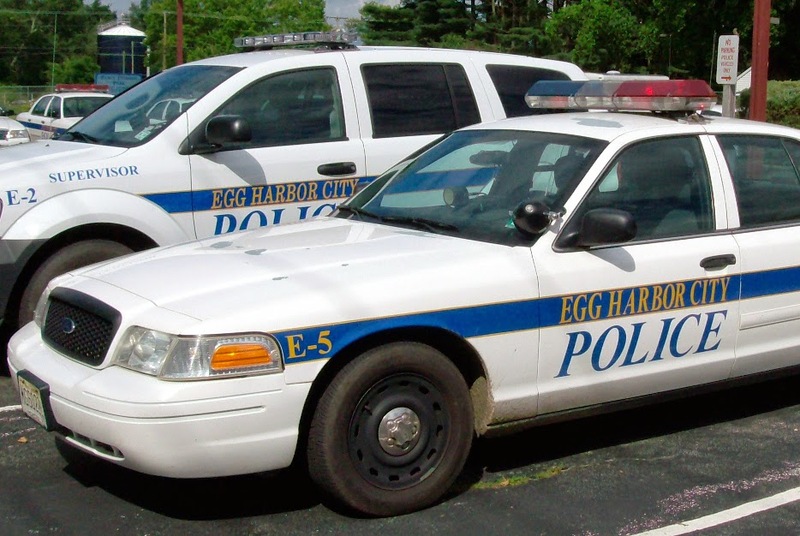 Egg Harbor City Police have released their Police Blotter for the week of August 12, 2014 to August 25, 2014. Arrests consist of contempt of court, burglary, and DWI. Edgar Solorzano, 30, of Egg Harbor City was arrested by Sgt. Matt Landicini for taking a motor vehicle without the owner’s consent on August 12, 2014. James Krauthause, 67, of Egg Harbor City was arrested by Sgt. Matt Landicini for burglary and defiant trespass on August 13, 2014. Dennis J. Munoz, 35, of Egg Harbor City was arrested by Det. Remon Soliman for conspiracy on August 14, 2014. Gregory M. Wisniewski, 22, of Egg Harbor City was arrested by Ptl. Marcella Aylwin for possession of drug paraphernalia, possession of hypodermic needle and contempt of court on August 15, 2014. James Krauthause, 67, of Egg Harbor was arrested by SLEO Joe Akeret for criminal trespass on August 15, 2014. Trevor S. Frank, 22, of Little Egg Harbor was arrested by SLEO Joe Akerest for contempt of court on August 16, 2014. Eduardo Torres, 55, of Egg Harbor City was arrested by SLEO Pat Aiken for DWI on August 18, 2014. Michael S. Martin, 49, of Egg Harbor City was arrested by Ptl. Tom Coney for contempt of court on August 18, 2014. Frank Acocella, III, 33, of Wildwood Crest was arrested by Ptl. Marcella Aylwin for DWI on August 21, 2014. Samantha N. Rowell, 32, of Hammonton was arrested by Ptl. Dave Aldridge for contempt of court on August 21, 2014. Kare M. Daley, 30, of Egg Harbor City was arrested by Sgt. Matt Landicini for theft of movable property on August 21, 2014. Paul L. Jiggets, 56, of Egg Harbor City was arrested by SLEO Joe Akeret for contempt of court on August 22, 2014. Alexis R. Claudio, 29, of Egg Harbor City was arrested by SLEO Pat Aiken for contempt of court on August 24, 2014. Therese C. Ramp, 46, of Hammonton was arrested by Ptl. Tom Coney for DWI on August 23, 2014.